If you still remember the little corner I wrote about (Bellis Nails) at the beginning of this year, now it has transformed to little sweet BFF Zakka store. 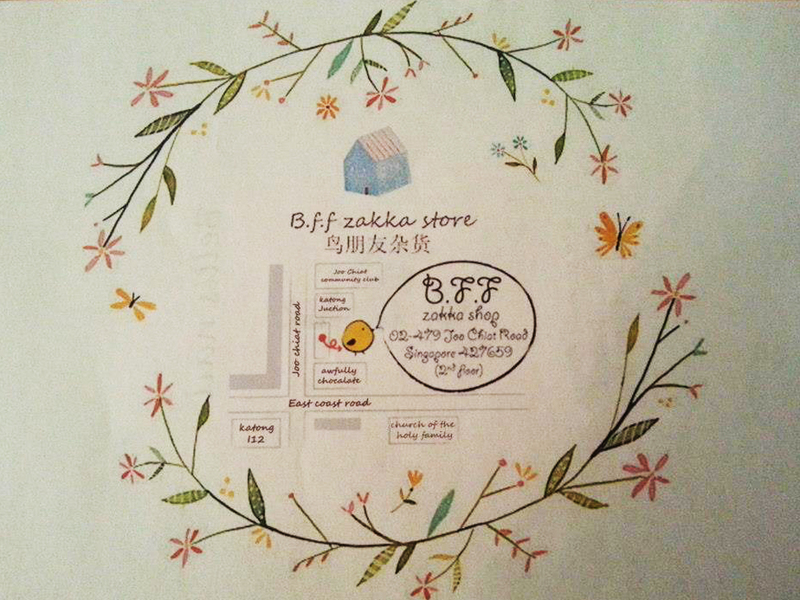 In case you are wondering what does BFF zakka means, BFF stands for Best/Bird Friends Forever, while zakka means originate from the Japanese word ‘zak-ka’（雑貨）or ‘many things’. It is a fashion and design phenomenon that has spread from Japan throughout Asia. The term refers to everything and anything that improves your home, life and appearance. 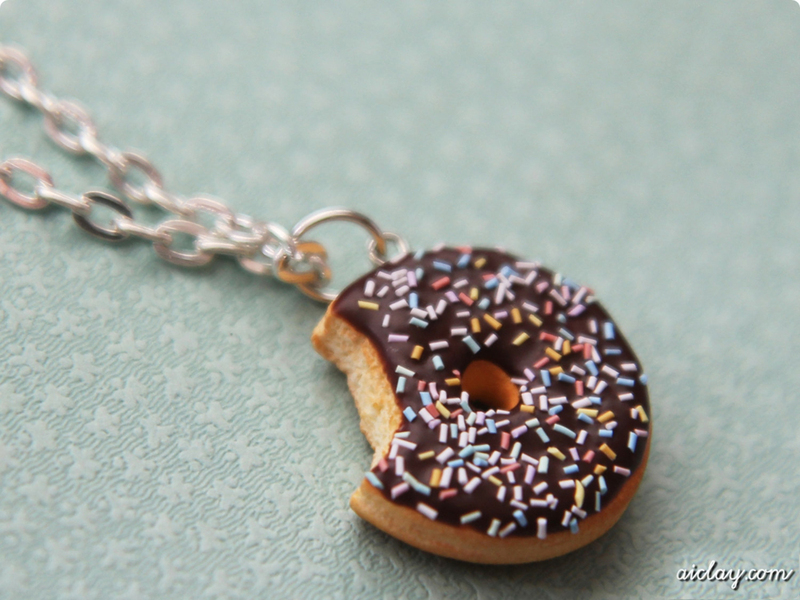 You can check out BFF Zakka Facebook Page for the latest new goods or their blog for new updates. 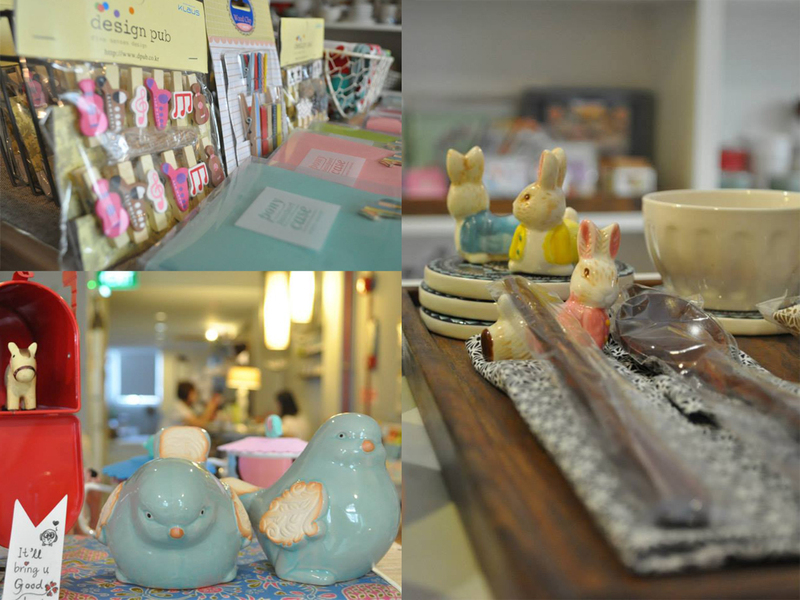 Besides selling items, you can have a little me-time by attending the workshops held at the cozy corner. So the motive of this entry is to announce Or promote Or boast about, in any way you want to put it, a workshop my friend is holding at BFF Zakka! The famous AiClay miniaturist, Jocelyn Teo (she recently appeared on TV) was my school mate in NUS, we both graduated from Communications and New Media (CNM) and while I took up a marketing job after graduating, she continued with her online AiClay business and continue sculpting exquisite and delicious looking miniatures. In this digital society where our entertainment revolves around computers and smartphones, this is a great opportunity to put our hands on some clay instead. 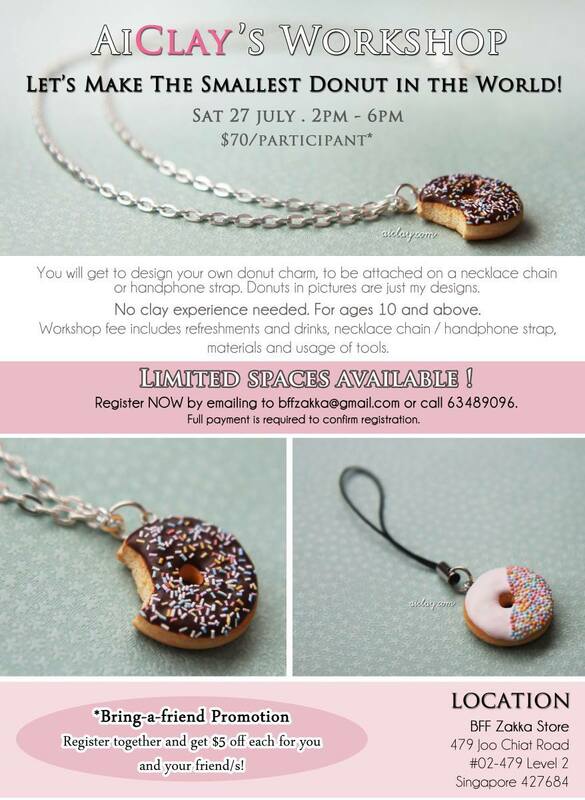 Please email to bffzakka@gmail.com or call 6348 9096 to register your slot/s! Registration closes 12pm on Friday, 26th July so be quick!